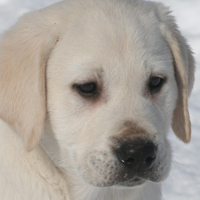 ← Golden Retriever Puppies for Sale! Golden Retriever Puppies Ready to Go! "You two look that way, I'll look this way!" 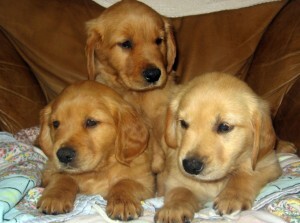 Trained Golden Retriever Puppies ready for their new homes! 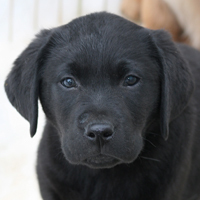 Check out our Trained Puppies for Sale page. 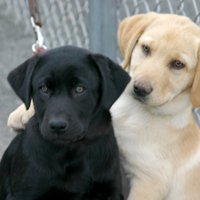 These beautiful pups have nearly completed their Smiling Dog Puppy PHD six-week training class. I have 4 females and 1 male. Two of the females are reddish in color. The male and two other females are lighter. 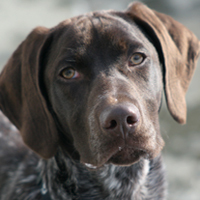 All have undergone extensive training and socialization. They have been regular visitors to downtown Westport and Bethel. They are particularly fond of Aspetuck Wildcat football games. 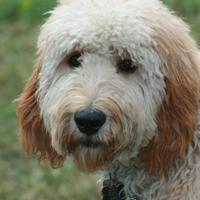 They are trained to ride comfortably in cars and are on-leash obedience trained to Heel, Sit, Down, Stay and Come. 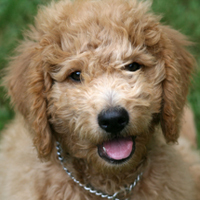 They are also crated trained and have a well-established housebreaking routine. One comment I get over and over again is, “I can’t believe how mellow these puppies are.” Most people believe that puppies are supposed to jump, nip and bark all the time. Untrained puppies do. I’m sure mine would as well… if I let them. 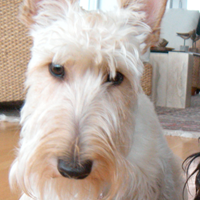 Great puppies don’t happen by accident, they are created and positively nurtured. 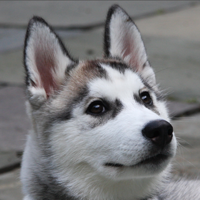 If you’re looking to add a new pet to your household but don’t have the inclination to go through the first stages of puppydom, I encourage you to take a look at our Smiling Puppies. A Smiling Puppy equals a Smiling Owner.